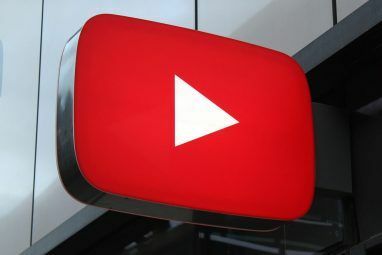 <firstimage=”//static.makeuseof.com/wp-content/uploads/2010/11/GoogleVideo01.png”> Google acquired YouTube in 2006 and subsequently retired its own video upload service in 2009. [NO LONGER WORKS] Google Videos now serves as a sub-search engine for videos. However, material previously uploaded to what used to be Google Video, will continue to be hosted. Not long after incorporating YouTube, Google discontinued development of the Google Video Player in 2007. It also removed the option to download its hosted videos. As a consequence, the GVI format will slowly die out. Do you still have videos in GVI format sticking around and wondering what to do with them? Would you like to know how you can download the remaining Google Video files? If you answered yes, continue reading as this article holds the answers to these questions. What Are Google Video Files Anyways? Essentially, Google Video (.gvi) files are RIFF (Resource Interchange File Format) files of the subtype AVI (Audio Video Interleave). Compared to regular .avi files, they contain an extra list with the FourCC “goog” right after the header. FourCC is short for ‘four character code’ and identifies the video codec, compression format, color or pixel format used in the media file. 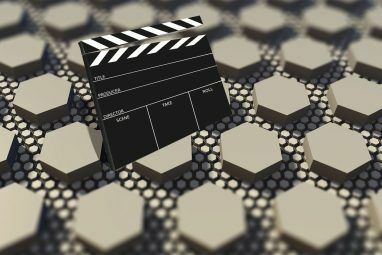 In plain English, this means that a simple manual modification of the Google Video file will yield a standard .avi file. Note that most media players will actually playback Google Video files, including VLC Player, KM Player, and Windows Media Player. Isn’t it interesting though, that Google actually introduced its own file type and hence branded its videos? So Can I Manually Convert A Google Video To AVI? Yes. As Wikipedia points out, Google Videos are encoded in MPEG-4. Hence, for DRM-free videos, it’s possible to simply change the file extension from .gvi to .avi. However, that’s a very messy way of converting a file. If you want to be safe, get a Hex editor and remove the list that makes the difference between the .gvi and .avi file. I used Freeware Hex Editor XVI32. It doesn’t require an installation, just unzip, run the .exe and browse for your .giv video. The image below shows the sample file before (top) and after (bottom) editing. I removed the first LIST up until LIST2. Simply click the first item you wish to delete and then click the [DEL] key until you have deleted the last item. When you’re done, go to > File > Save As… and enter a name. You will have to add the .avi file extension manually. How Can I Automatically Convert A Google Video To AVI? If you agree that renaming the file extension is amateurish and if you don’t want to mess with a Hex editor, a conversion tool is in order. There are several shareware and trial programs out there that promise to convert GVI to AVI. However, the free ones I tested are huge and not intuitive to use. By far the most effective and simple tool is described below. This tiny tool does a perfect job of converting .gvi files to .avi. It’s a 96 KB .exe file that does not need to be installed. However, it does require .NET Framework 2. The only real drawback is that you cannot mass-convert multiple files, the tool only handles one at a time. How Can I Download Google Videos? Google has removed the option to download its videos directly from the video page. However, there are tools available that can do the job for you. They will download in FLV or MP4 video format, so you won’t have to be worried about the GVI format. 1. Drag the PWNYOUTUBE Bookmarklet button to your browser bookmarks toolbar. 2. Visit a page with a YouTube or Google Video and click the Bookmarklet in your browser toolbar. 3. On the page you were re-directed to, find links to pages that allow you to download the file as FLV or MP4 files. Basically, PwnYouTube is a hub for various online download services. For my Google Video source, SaveVid was the easiest option, while the others were rather disappointing. However, your results may vary depending on the source. What did you think about Google Video while it was still around and do you have a collection of GVI files? 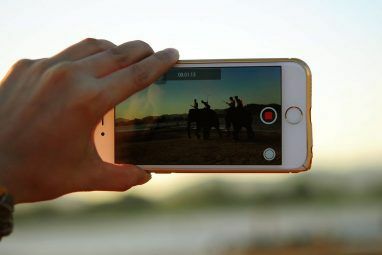 Explore more about: Google, Online Video, Video Editor. y don'y u use blazevideo's product ? All the videos I downloaded from Google Video were downloaded in FLV format. Do you have any examples that are GVI? I have to admit that I didn't download Google Videos myself back when. However, you can search Google for file formats, e.g. 'filetype:gvi' - that's how I got samples for this article. So the answer is - yes I do.